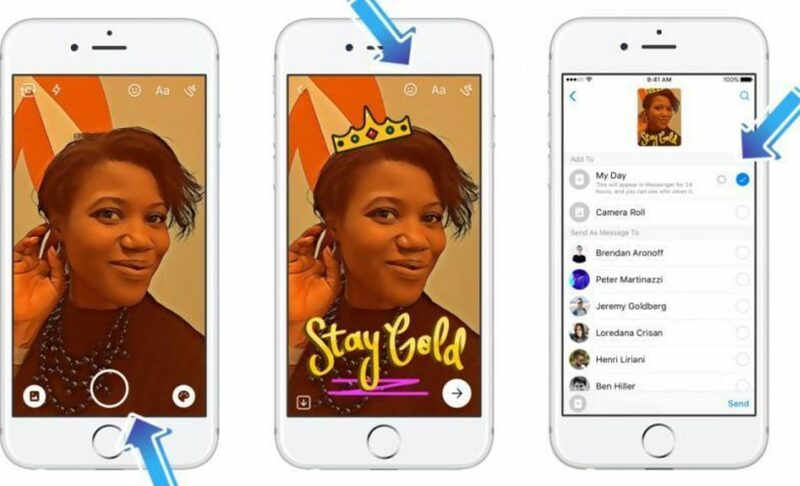 📰 Facebook Introduces Messenger Day - Snapchat copypcat anyone? After going through tests in Australia and Poland, Messenger Day is finally here. 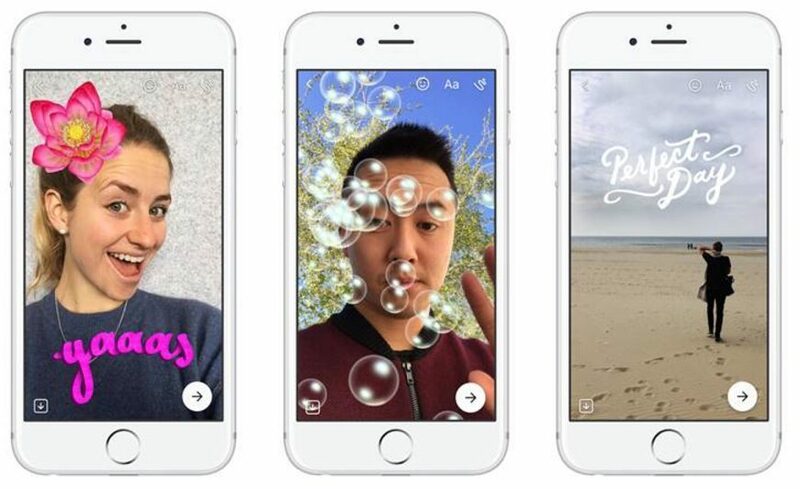 Facebook pronounced that it will be releasing its Snapchat Stories-like feature on both Android and iOS platforms. Using its chatting platform (Messenger) Facebooks’ popularity will assist in spreading its Snapchat-like Stories format. Facebook may boost retention and return visits to its chat app where it may even become the primary place where its users can post off-the-cuff life casting content before people get completely hooked to Snapchat. Much of the Messenger Day feature will work just exactly like Snapchat ( Why not, right? :D). Messenger Day will have the capability of drawing or adding text on images. Facebook’s major innovation with its feature has been using image filters like suggestions on what to share, which means you can celebrate events and holidays or just show one’s location with Snapchat’s geofilters. At the top the Messenger App thread list, one will be able to see tiles showing “My Day” and your friends Days in which they are able to watch what their friends are doing. Tapping on the different tiles will provide a number of filters which one can use, such as “I’m feeling…blessed”, “I’m feeling…so blue” having raindrops or “Who’s up for a…road trip” with a car zooming. These are just a few of these filters that you will enjoy with the Messenger Day feature. Stories slideshow format has recently proven to be more effective and the powerful way when it comes to sharing social pictures as compared to the ordinary polished pictures most users post to social networks. Messenger Day will allow users to be able to share appealing images visually even if they aren’t that creative. The prompts will also promote the App usage when Facebook users get bored hence sparking their imagination. Facebook has however also had to suffer from a common problem of users having to only share their big life highlights, which is not an everyday thing and is not that often. The reason as to why Facebook has got probably the upper hand in Stories slideshow feature like Snapchat is the fact that it knows most of your friends more than any other search engine or social App. Your Stories’ will be seen by the users (friends) that you constantly interact with on Messenger or Facebook as a whole though in a smaller context. That is definitely a big PLUS for Messenger Day users over Snapchat. The second advantage will be the fact that Messenger App has proven to be a simpler and a more straightforward chat app which has got a simple and friendly interface (UI). Apart from Messenger being used by up to 1 billion users a month, more people are joining Messenger and Messenger Day will pick up easily. Messenger Day has got a more lucrative chance of grabbing the top position of snaps mainstream. After the Instagram Stories breakthrough which saw Instagram thriving, the big question now is: the reason why Facebook is determined to still copy Snapchat like features despite backlashes like plagiarism inevitably attracts? Well, the response to that could be that the social net is craving for personal posts such like the Snapchat users will share on a daily basis. What do you think? Any ideas on how to use this to your advantage? And one more thing - do you think Snapchat days’ are numbered or will they survive this? Its filters look crap compared to Snapchats you would have thought with all there money FB would have got some more impressive filters sorted. How can “small guy” compete with a giant like fb when they are stealing “small guys” ideas? I’m horny, but I don’t use snapchat. What’s the name of this app? I think this feature is really annoying. I don’t really care about old schoolmates or people who live in the same village as me and posting boring things. I have to hide them one by one. I think Snapchat will suffer this soon as Adnan said before.